in the manner of Sir Robert Lorimer. c1900. 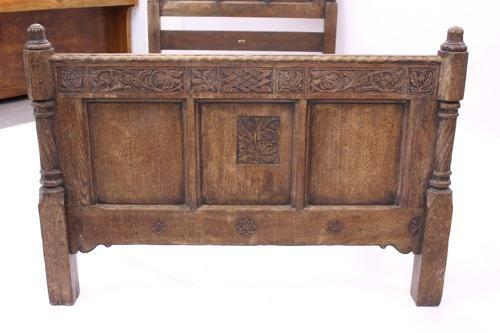 Superb Celtic, thistle and other carving throughout. With their original Harrods retailer's labels.